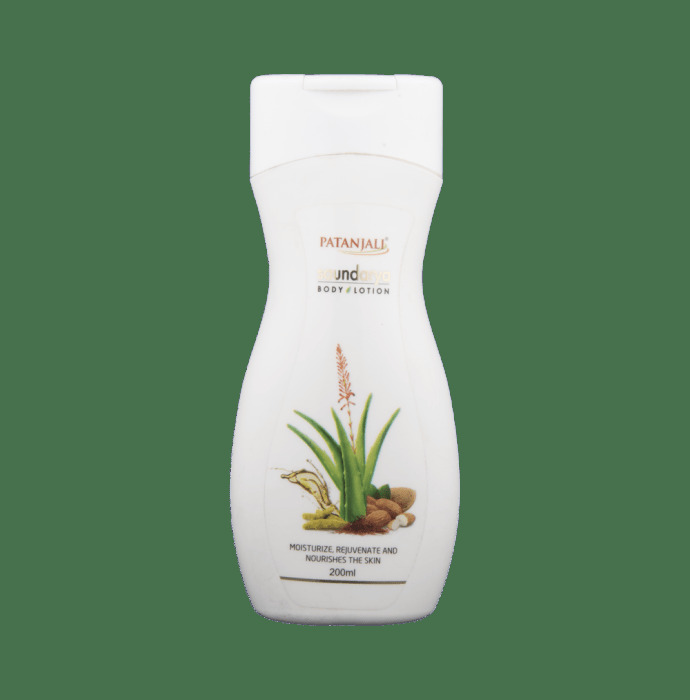 Patanjali Ayurveda Saundarya Body Lotion contains Aloe barbendensis, Cocus nucifera, Prunus amygdalus, Triticum sativum, Cucumis Sativus, Rubia cordifolia, Curcuma longa, and Saffron as active ingredients. - A unique formulation of natural oils, herbs, and fruit extracts free from harmful chemicals. - Non-greasy and sticky formulation. - Make the skin moisturized and nourished throughout the day. - Patanjali Saundarya Body Lotion rejuvenates and restores the vitality of skin. - It provides deep nourishment to the skin to make it aggression free. - Shows fast absorption into the skin and give a nice fragrance to the skin. - The formulation is suitable for both men and women. - Apply Patanjali Ayurveda Saundarya Body Lotion gently to the body after a bath and before bed. - Apply twice daily or as directed by the physician. A licensed pharmacy from your nearest location will deliver Patanjali Ayurveda Saundarya Body Lotion. Once the pharmacy accepts your order, the details of the pharmacy will be shared with you. Acceptance of your order is based on the validity of your prescription and the availability of this medicine.